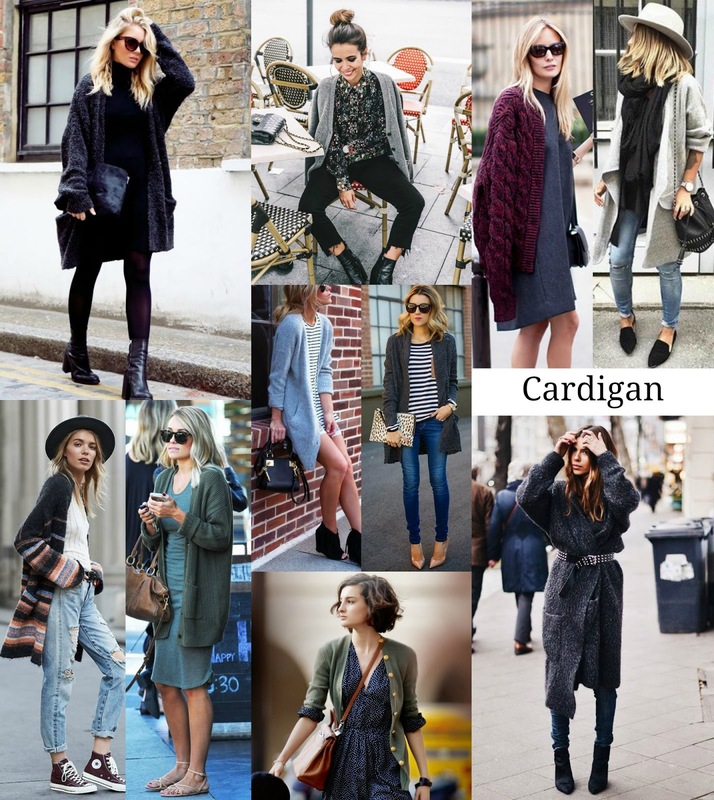 Historically an item of clothing synonymous with old ladies, the cardigan has over the past few years become a fashionistas best friend. The perfect layering item when its too cold for bare arms but a little too warm for a coat, whilst still adding an element of chic to your outfit. Whilst some cardigans still offer that element of granny chic (which some people like from their knitwear), others remain classic yet modernised with belts, embellishments and super chunky knits in luxurious yarns such as mohair and cashmere. A great versatile item, the cardigan looks just as good with jeans and a tee as it does layered over your favourite dress but you need to get proportions right. I love to wear an chunky oversized cardi but will always wear skinny jeans on the bottom to balance out my proportions, or if i am wearing a full dress/skirt i will opt for a slimmer, cropped style. I really love the final look above with a long chunky cardi styled with a simple pair of jeans and a statement belt to pull the look together. Also a great way to introduce a pop of colour or even print to a simple outfit - with bright stripes or bold flecked yarns. My current go to is from ASOS, in a light grey shade and slightly oversized but there are so many great options on the highstreet at the moment for the transitional weather. I love a good cardigan! I'm so excited they're coming back into fashion -- they're so comfortable to wear everywhere!